Encouraging new and younger owners to the world of luxury yachting has been a poignant topic of conversation in the last year or two. Leaders in their respective fields, OCEANEMO and FunAir have done just that. Partnering in 2016 to provide the ultimate sports utility yachting experience specifically designed for boundless fun. Referring to Albert Einstein’s definition of insanity, which is; doing the same thing over and over again and expecting different results, the superyacht industry needed to rethink the next generation of yachts in order to attract a younger audience. The OCEANEMO Sport Utility Yacht series, with its innovative design by award-winning Naval Architect Fulvio De Simoni, has the distinctive feature of exceptional spaces, both covered and open-air allowing the embarkation of a very large quantity of tenders, amenities and toys. The design of a large half-raised deck, below which there is a full beam hangar effectively means that the OCEANEMO Yacht has some of the largest storage surfaces currently available on the market. 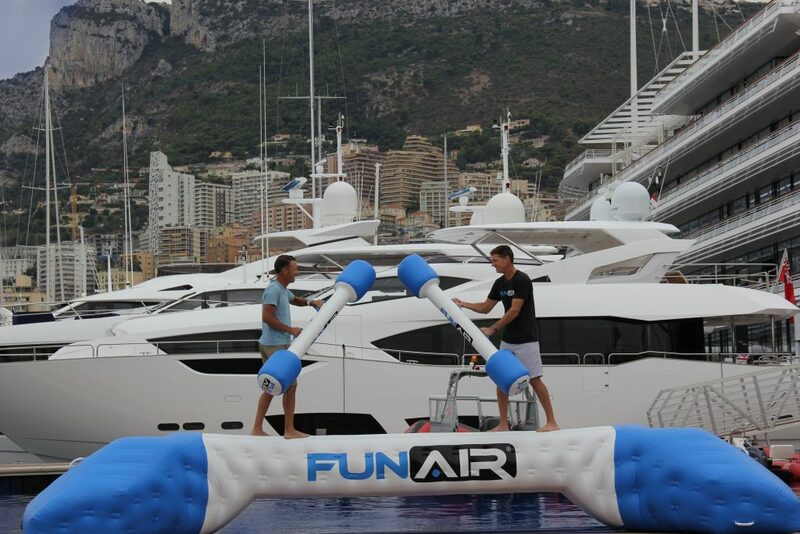 FunAir are well known for innovation, making the highest quality inflatable yacht toys lighter and easier to deploy. They also work crew friendly storage options into the design stage of each new build yacht project they are involved with, to ensure maximum fun for guests and minimal stress for crew. Together, OCEANEMO and FunAir have rendered the 33, 44 and recently launched 55 metre Sport Utility Yachts a haven for the fun, outdoor lifestyle which generation X owners crave. The OCEANEMO 55 has a 126m² raised deck plus a 105m² hangar with space for an owner tender, a crew tender, two water-jets plus a helicopter or airplane with folding wings and a host of FunAir yacht slides, climbing walls, personal-water-craft docks, SUP’s and other inflatable toys. FunAir have designed each yacht toy to folder tighter and lighter and supply their patented RapidFlate technology to inflate the fun six times faster than anything else on the market. With the growing trend for outdoor, healthy living, OCEANEMO and FunAir bring you the ultimate SUY for the sea. You can view a scaled model of the OCEANEMO 44 meter Sport Utility Yacht, kitted out with unparalleled levels of fun, while you visit the NMS booth 684 in the Superyacht Pavilion at Fort Lauderdale International Boat show. The model will have 3D printed examples of some of the FunAir portfolio and sits on a 4K digital table. There’s just no stopping FunAir. Hot on the heels of launching the brand new to market Yacht Joust and Yacht Golf at Monaco Yacht Show, the innovative team behind the worlds most popular yacht inflatables are set to launch a third new product at the Fort Lauderdale International Boat Show next month. Most of you will have seen the pictures and videos of the inflatable yacht blobs on social media. Looks like a whole lot of fun, right? Enter FunAir, who have completely redesigned the new BigAir Yacht Blob. It has stabilising outriggers that stop it turning in the ocean, and an inflatable stand-off that keeps it in place and away from the yacht. Friends can jump from the deck straight onto the blob and launch their partners tens of meters into the air; and should anyone have so much fun that they roll of the back of the blob, the stand-off will make sure they don’t bump into the hull of the yacht. 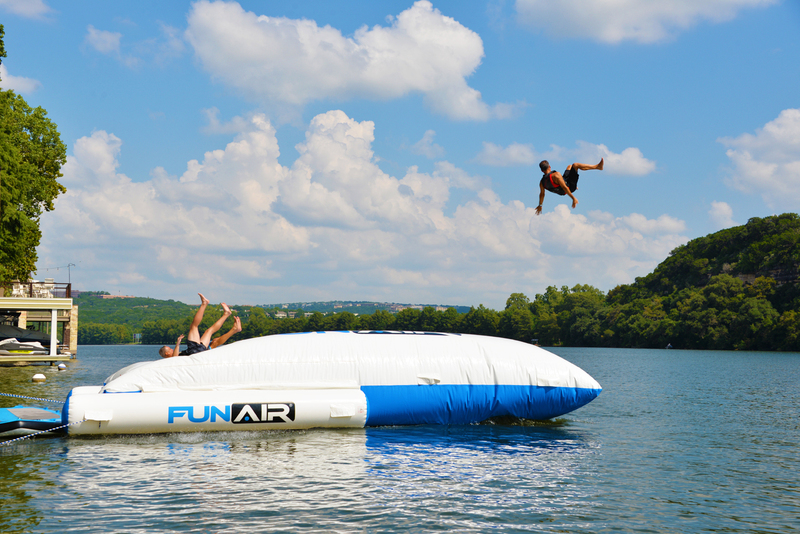 It turns out that the water blob was first invented in Texas, the home state of FunAir, for Camp Longhorn who used an Army Surplus fuel bladder as a waterfront toy on the lake. Anyone who has used a blob in the ocean will tell you these amazing toys were not originally designed for tidal water. They turn easily and should really be tethered to the seabed to keep them in place. FunAir’s BigAir Blob is the first yacht blob specifically designed for yachting and the new features make it the safest option on the market. To find out more about the new BigAir Blob, Yacht Joust, Yacht Golf or any of the FunAir portfolio, you can stop by the National Marine Suppliers booth 684, in the Superyacht Pavilion at Fort Lauderdale International Boat Show, where the FunAir team are once again partnering with their long standing distributor. 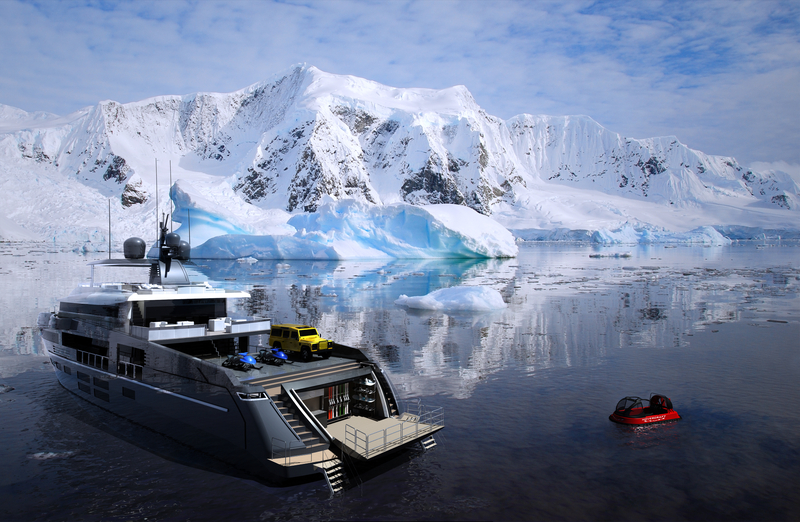 Known for innovative partnerships, while you visit the NMS booth you can see a model of FunAir partner Oceanemo, the impressive sports utility superyacht kitted out with unparalleled levels of fun. The model will have 3D printed examples of some of the FunAir portfolio and sits on a 4K digital table. This exciting news comes on the back of FunAir’s new website with the first click and buy interface for inflatable yacht products. Showcasing both QuickShip and custom inflatable products for yachts, resorts and at-home family fun, the site offers online shopping and promises to quick-ship available products within 24 hours. Yacht products currently available for QuickShip include, Yacht Slides, Climbing Walls, Yacht Joust, Yacht Golf, Personal Watercraft Docks, Water Mats and Stand Up Paddle Boards. 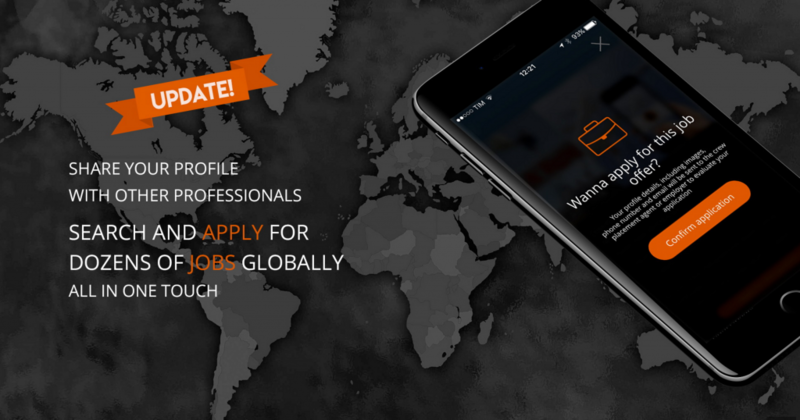 With distribution partners in Europe, America, Australia and the East, FunAir can send out the QuickShip products in less than 24 hours to captains and owners across the globe. Find the FunAir team at the NMS booth 684 in the Superyacht Pavillion at Fort Lauderdale International Boat Show.